Metal is quickly gaining on asphalt shingles for the title of the most popular residential roofing material, thanks to its many features and benefits. Read on to learn more. Metal is a naturally strong and resilient roofing material with superior impact resistance despite being installed in thin sheets. 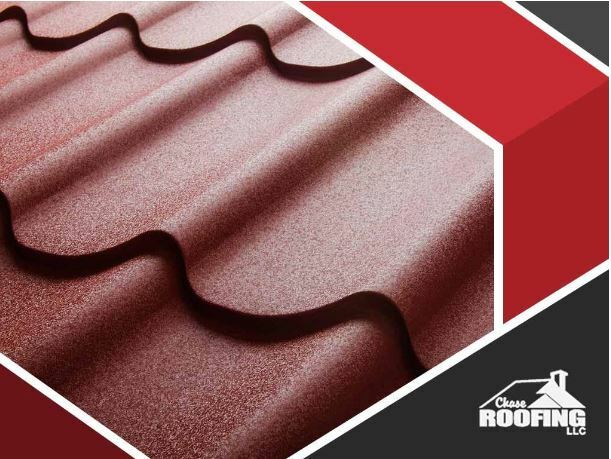 This makes metal the ideal roofing material for areas that are often in the path of hail storms, or lying debris in the middle of a storm. Whereas other materials crack or break, metal only gets dented from heavy impact, which minimizes water intrusion and the cost of repair work. If you are planning on switching to a different roofing material, weight is a major consideration, as the existing roof deck might not be able to support the weight of the new roof. This means switching to heavy materials will incur additional costs, as the roofing structure will have to be reinforced or even rebuilt by your roofer. Metal, on the other hand, is one of the lightest roofing materials available and can be installed on existing roof decks without modification save for necessary repairs. It saves you time and money on your roofing replacement project. And if you still want the slate or tile look on your home, no problem: metal roofing is also available slate and tile shapes. A metal roof lasts up to 50 years, whereas a typical asphalt shingle roof lasts for 20 to 30. Sure, the upfront cost might be more, but consider the almost twice-as-long lifespan, the reduced maintenance requirements and the exceptional durability. These factors make the long-term costs of a metal roof far less than typical roofs. In fact, for many homeowners, a 50-year life span means they will only need to have their roof replaced once in their lifetime. To learn more about metal roofing, or our other services such as skylight installation, call Chase Roofing LLC today at (757) 333-0052. You can also fill out our contact form to schedule a free no-obligation quote. We serve Williamsburg, VA.